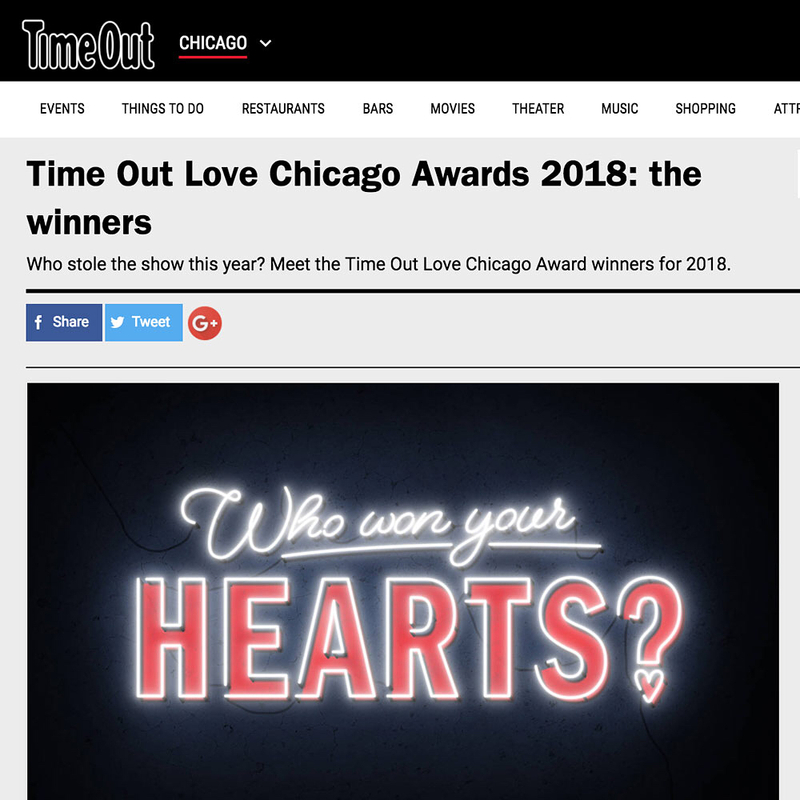 We won Time Out Chicago's Most Loved Shop! ...Like Harry Caray said: "Holy Cow!" < CLICK TO READ THE ARTICLE! Made the cut! Proud to be along side these other fantastic local shops. CAN YOU BELIEVE IT?! We won Best Shop in Portage Park and top in our class: Most Loved Shop in all of Chicago!! Thank you *so very much* for voting! Click here to see the other fantastic businesses recognized by Time Out. Thank you so much to everyone that voted, shared our voting efforts, and left such kind words on our venue page. We are humbled by you! I grew up eating Giordano's... And when I moved away, Giordano's (Midway) would always be my last meal with my mom before flying out of town; Giordano's (Printer's Row) would be my "go to" restaurant for clients when I worked in advertising downtown; and Giordano's (Portage Park) is where Jeremy and I bring out-of-town'ers. Giordano's will always hold a special place in my heart. 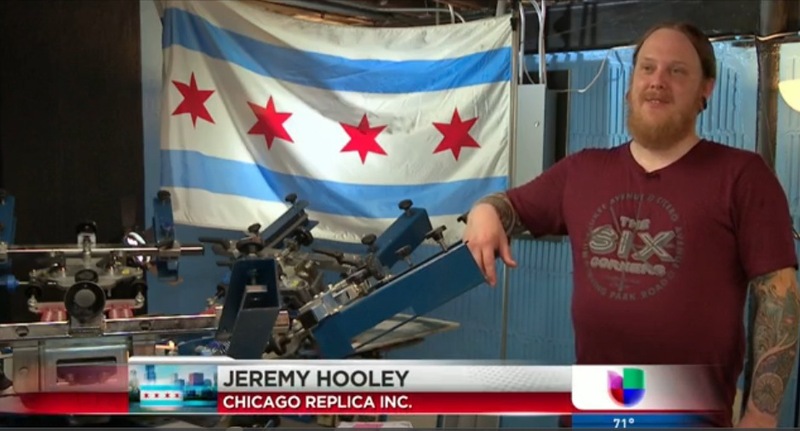 I am *so* incredibly honored that REP CHI was included in their Unique Shops in Chicago list! Take a peek at the blog, it's filled with some must-read posts!! Bernie Tafoya of CBS Newsradio 780 stopped by the shop and chatted with Lyn. The segment aired throughout the day on Monday, August 22, 2016. 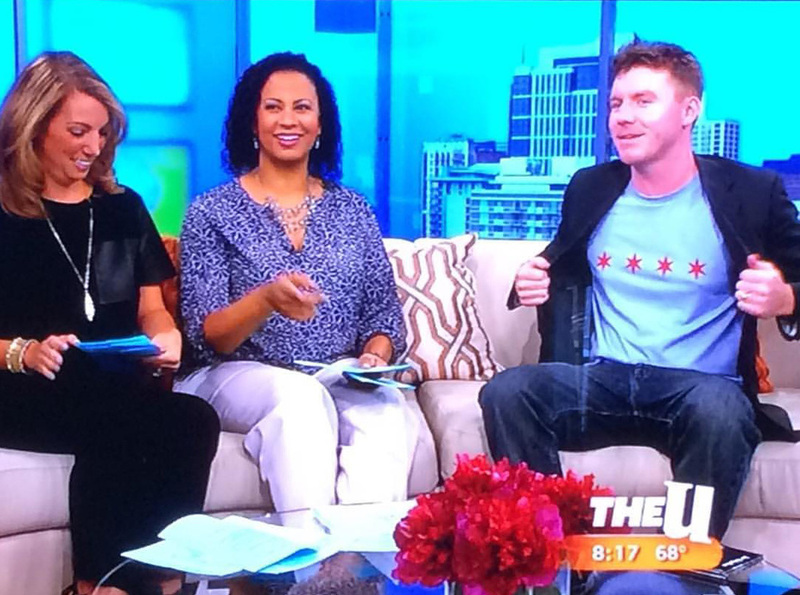 Thank you for featuring us, WBBM!! Yep, that's our READ MORE shirt on Chicago's infamous CM Punk. Want to buy it? Click over here. We are so very excited to be part of the THINGS TO DO IN JEFFERSON PARK special in the new issue of Chicago Magazine. Our Morton Salt soy candles got a cameo on page thirty-four! Come visit us soon, won't you? SEPTEMBER 2016 ISSUE WILL BE ON STANDS AUGUST 18. Mira, Mamá, estamos en la TV! Internet, it's incredible to wake up and see your name at the top of a "Chicago's Best..." list. Makes all of this worth it. Click to read the rest of Megy's great finds! Where to find this shirt? Here, of course! 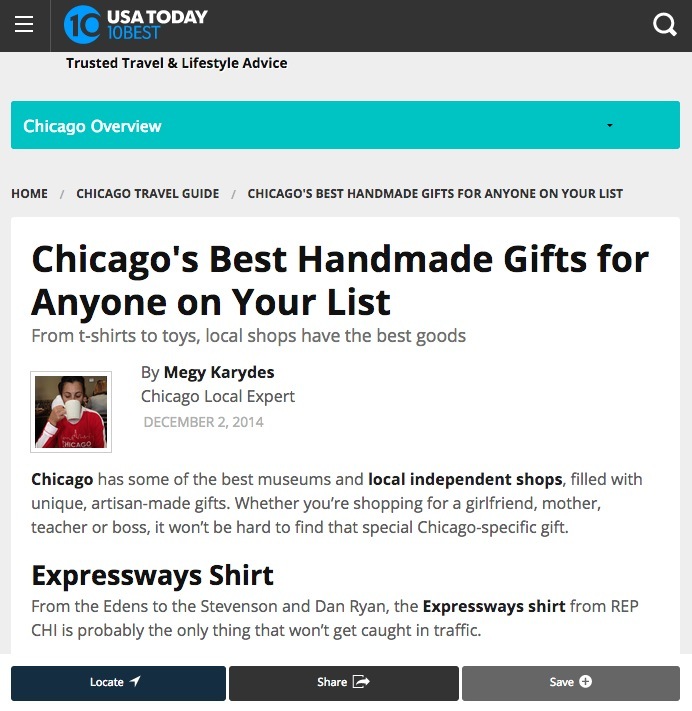 Our DIBS ornament in Chicago's Ultimate Neighborhood Gift Guide by DNAinfo... Read More knuckles shirt... And other new things. Check out our DIBS ornament featured in DNAinfo's annual gift round up!! So awesome to see that we made the cover photo! to read the article and find other unique gifts. Or, for local locals: click here to go straight to the Far Northwest Side-only section. 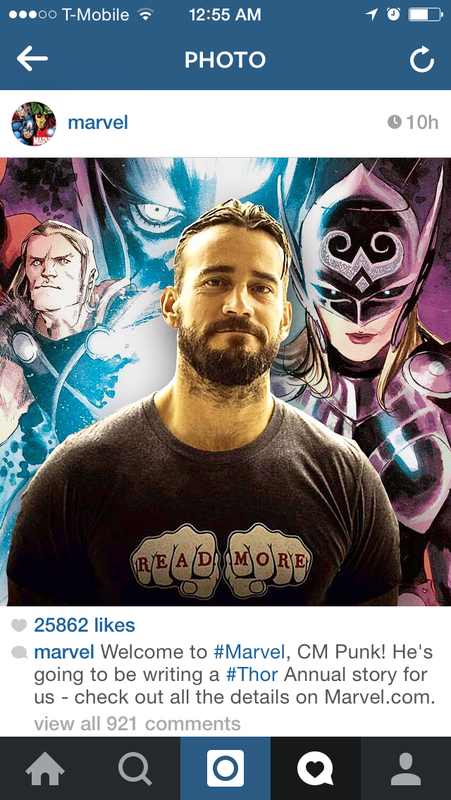 In other Awesome News, our Read More shirt was spotted on CM Punk in our Instagram feed... by MARVEL. #squeee! << YES TO ALL OF THIS. What else is new at the shop, you ask/I made you ask? 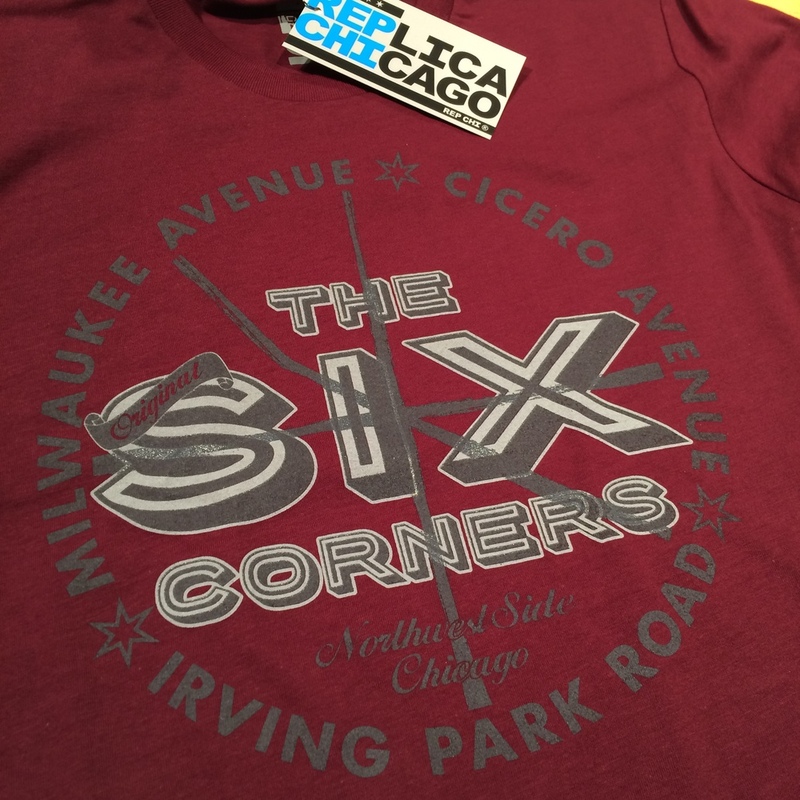 Also this Six Corners shirt... and we put our Heartbeat:Skyline design on a mug! Back to late night making things. Have a great Thanksgiving! See you for Shop Small Saturday! From Trash to Treasure: Recycled goods a big draw for eco-conscious consumers.